In my last article, I’ve shown you how to make a Solidity ERC20 Token for the RSK Mainnet, how to import and use OpenZeppelin libraries and contracts, and how to use Truffle to deploy and interact with our contract. Although we succeeded in our quest and accomplished our objectives using Truffle, eventually this suite might present failures when you are sending transactions, deploying or managing accounts. In our case, while following the previous article instructions, I’ve had problems managing newly created accounts in Truffle and sending transactions. In the last article, we have seen how to build an RSK node in our computer, select the proper network for development, configure Truffle to connect and deploy our future contracts, add accounts to our node and obtain funds to use them to pay the gas. 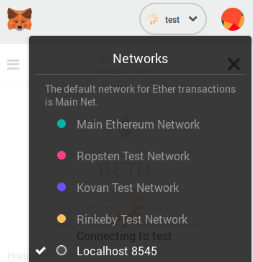 You should have now your node in the selected network fully synced, and at least one account with funds configured in the truffle and RSK node config files for our deployments. In this article, we’ll be discussing deployment and interaction of Smart-Contracts over the RSK network. Our contract will be an ERC20 Token, based on the OpenZeppelin libraries, and we will deploy it directly into the Mainnet.